I’m not a believer in the idea of churning out a ton of books with photographs for any given artist. I am utterly unconvinced that it is possible to maintain a consistently high level of quality for all of those books. OK, maybe you can do large numbers of books with photographs that are, well, not that good in the first place, and you can hope to kill criticism by inundating people with volume. But with Yokota that doesn’t work for me. For a start, he’s much too good an artist, so he doesn’t need to hide a lack of quality with volume. But his work also is heavily process based, and that makes putting a book together not as straight forward as it might seem. Vertigo was released last year by Japan based publisher Newfave. I have been keeping it in my “to review” pile in part because it is an utterly engaging book with considerable depth that I simply needed to come back to frequently. A carefully edited selection of Yokota’s black-and-white work, the book creates a tight and somewhat disturbing trip down some mental rabbit hole, in which menace and uncertainty are balanced with ideas of beauty and bliss (some of it, possibly, sexual). The consistent use of a full-bleed layout vastly helps bringing the viewer into the world, and a couple of gatefolds help expand the idea of a world other than our own (or at least the one most people would experience with their senses). 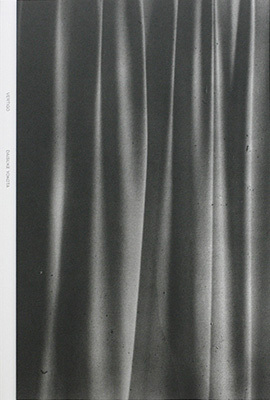 As a starting point into this fascinating photographer’s world, Vertigo is an ideal, yet also tough, choice: this book essentially is the best you can get out of this kind of work, but it also demands a lot from its viewers (while making the process itself disappear). 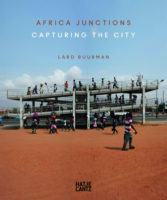 Another book that got stuck somewhere near the bottom of one of my “still to review” piles is Lard Buurman‘s Africa Junctions. It’s the kind of book that is certain to push a few very obvious and unrelated buttons. For a start, the photographs in the book are composites, produced from a larger number of source images. The more conservative wing of photoland is likely to have a big problem with that. But given this is 2015, I think we can safely and easily move beyond such concerns: that train has long left the station. Closely related to the construction is the question whether or not the resulting photographs are documentary in any sense of the word, a discussion that also doesn’t really help the viewer to engage with what this work does. We could approach the “is this documentary photography?” question just like the “is this art?” one: let’s just simply say it is, and instead ask “what does this do?”, leading us to “what is the merit of this work?” I know that’s not going to be agreeable for the orthodox wing, but so be it. Lastly, a white European photographing in Africa is not going to be able to get around the history of such photography done there. It’s tempting to quickly dismiss this work for that reason alone. But that also doesn’t seem like a very good idea, at least to me. Having got these concerns out of the way, Africa Junctions actually is concerned with a much narrower idea that the whole continent, namely to visually study a selection of cities (15 of them, if my counting isn’t off) across its full length and width. In the resulting 80 photographs, public spaces are explored in the sense of that word: the construction of the photographs allows the photographer to fill the locations in such a way that the space itself and the way people move through it become more visible. For sure, this is not a photographic depiction of Africa we are familiar with. The images that are mostly obviously constructed — like the one on the cover — don’t quite work for me as well as those where things aren’t so obvious. In a sense, Buurman’s work combines aspects of photographers like Andreas Gursky and Philip-Lorca diCorcia. Where Gursky aims for the largest possible view, making us take in vast vistas, Buurman focuses on a more manageable aspect: we are invited to look and discover details. Where diCorcia carefully constructs a specific narrative, Buurman uses the construction merely as a way to amplify the location’s structure. 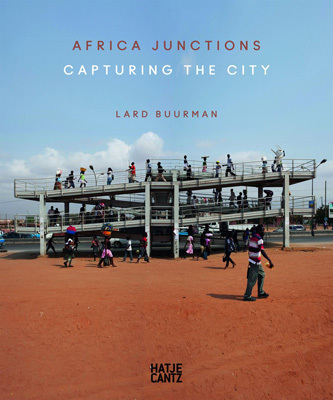 And for sure, this is not a book showing Africa, just like Robert Frank’s The Americans doesn’t show America: it’s Buurman’s view of a large selection of public municipal places across the continent of Africa. As such, it has much to offer for a viewer, while — inevitably — exposing itself to criticism here and there.